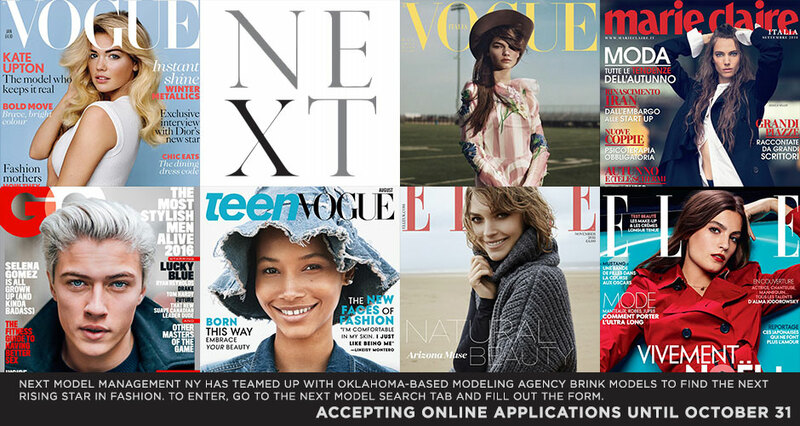 We are thrilled to announce that we have teamed up with Next Models NY to launch our annual Model Search 2016! Next Models + Brink Models will be looking for the next face to develop and promote as a team. We encourage potential models to fill out our “Next Model Search” form online, and/or come to our Open Call on Friday, October 21 at 4:00 PM.